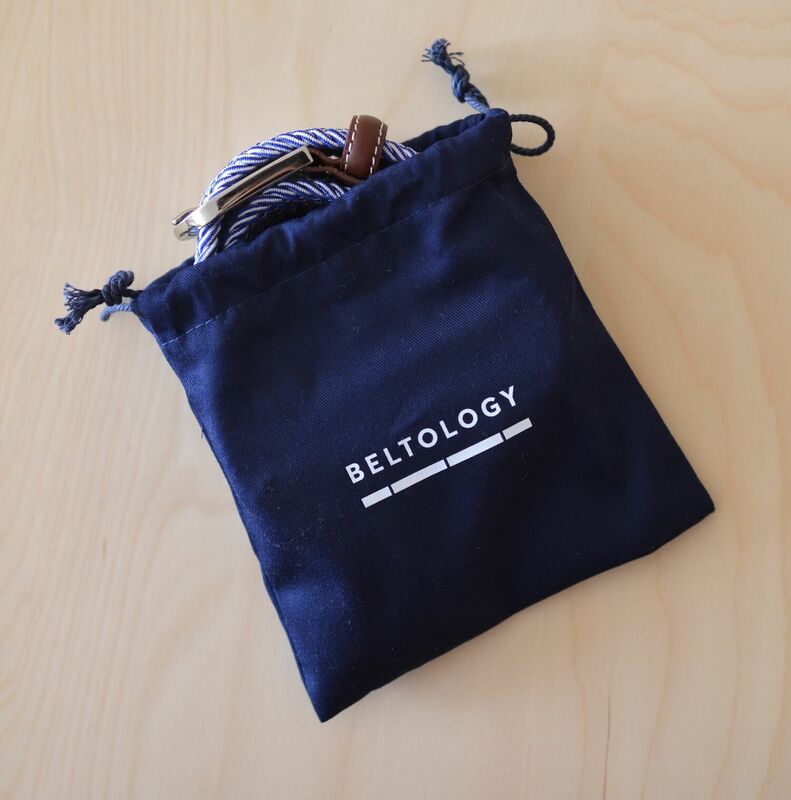 Beltology is the quintessential menswear startup. So how do these belts actually weigh up? 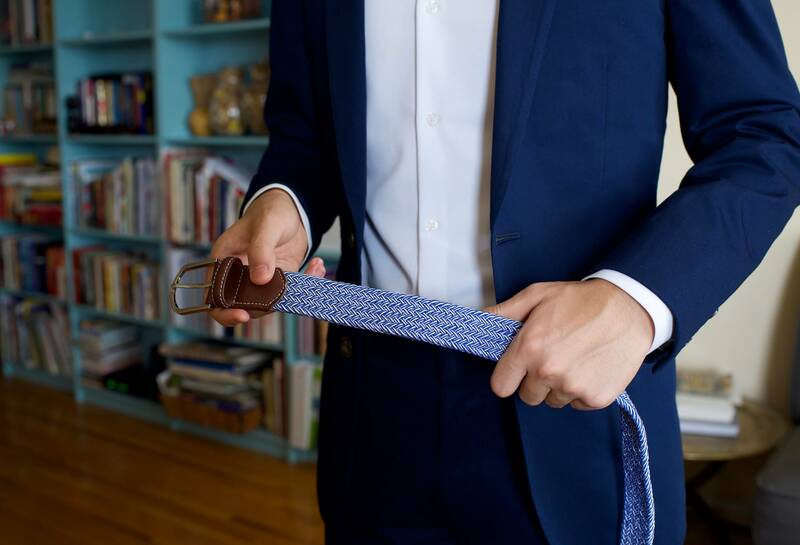 Do they live up to their marketing pitch as the belt of the 21st century, or are they just another startup solving a problem no one really has? 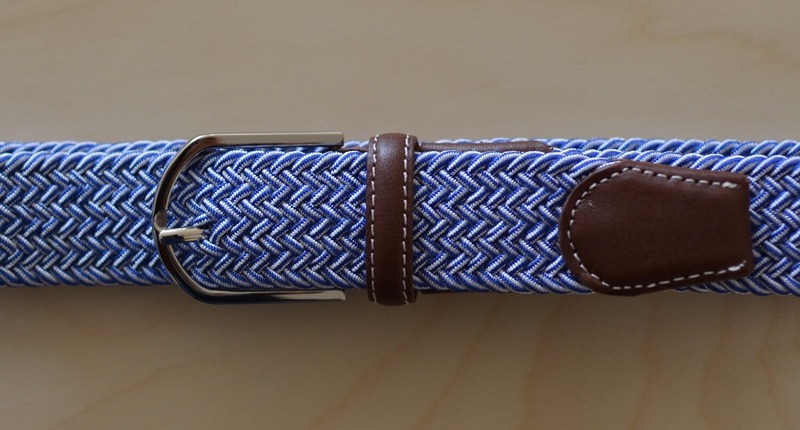 For this review, I’ve tested two Beltology belts: a black nylon dress belt, and a casual blue and white patterned belt. 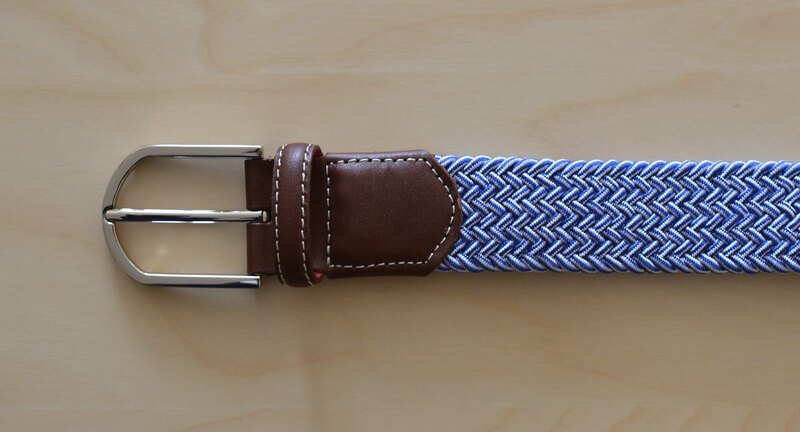 What sets Beltology’s stretch woven belts apart from normal belts is their stretchiness. They can extend up to 25% of their original length. The belts are made from either nylon or leather and come in a number of designs. Their dress belts can be worn even in conservative settings, and their casual designs are fun and hipster-worthy. 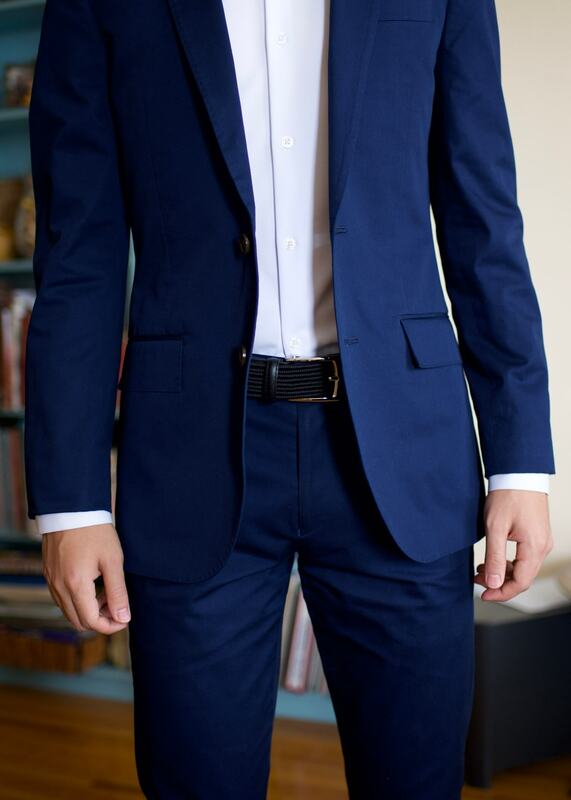 I frequently pair my casual blue and white belt with chinos and a polo. My black dress belt goes well with a suit and black leather shoes. With no belt holes, these belts will still fit regardless of how much you eat on your Caribbean cruise or Italian vacation. To fasten the belt, simply slide belt buckle prong through the webbing. You’ll still have to take your Beltology belt off when going through TSA security, though. The belt buckles are metal. 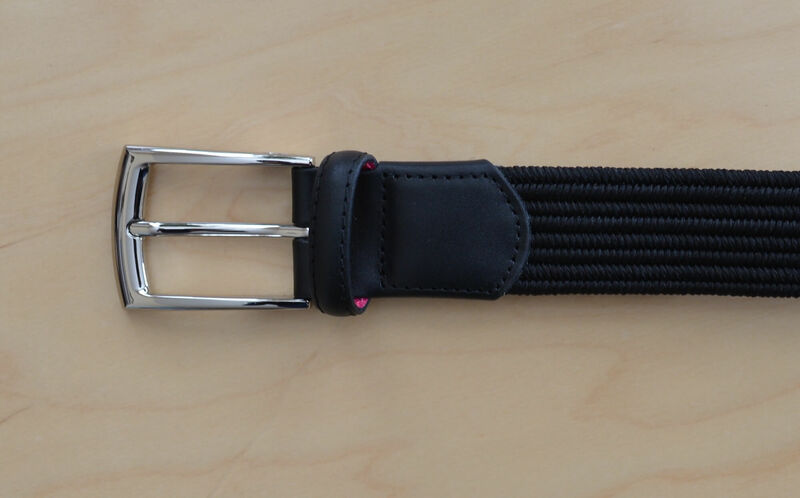 Perhaps a travel specific version with a heavy duty plastic buckle will be the next design? In spite of the Beltology belt’s comfort, I find myself wearing my Tanner Goods Classic belt more often. The Tanner Goods belt’s classic brown English Bridle leather makes for a classic which will never die. And my Beltology casual belt simply doesn’t match with as many pieces in my closet. There are a couple of issues that I have with my Beltology belts. The belt buckle’s hardware isn’t the best quality. Since it is a webbing belt without belt holes, the belt buckle prong can stick anywhere in the belt. Because the prong is floppy, it often sticks not in the middle of the belt, requiring me to refasten the belt. It’s not a big deal, but a minor inconvenience. The leather trimming at the end tip and base of the buckle feels more like plastic than leather and is certainly not on the same level as the hardware used on Tanner Goods’ belts. I’m a 29 waist for most pants, and the 30 inch belt fit just right. 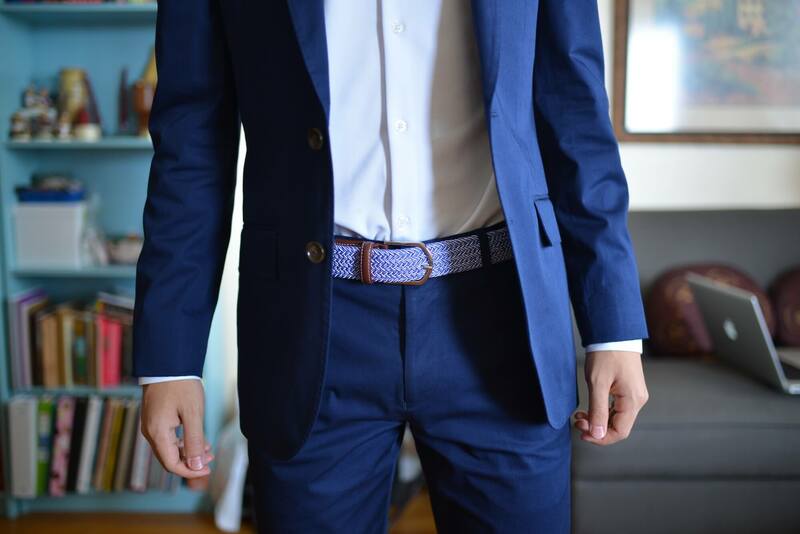 Usually the rule of thumb is to get a belt size which is 1-2 sizes larger than your pants size. For the perfect fit, consult Beltology’s size chart. Beltology’s belts come in over 25 eye catching and memorable designs, and are perfect for the modern traveler. At retail $65 for the nylon belts and $85 for the leather belts, it’s a bit overpriced considering the belt buckle and leather quality. 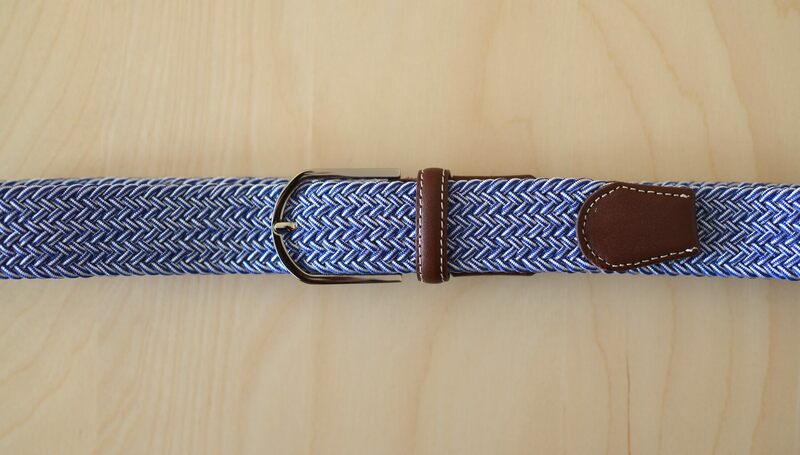 But if you value having a photogenic, outside-the-norm belt, treat yourself to a pair. What are your thoughts? Have any questions about the Beltology belt? Leave a comment below. The Beltology belts were provided for this review. As always, this Beltology review contains only my honest views and opinions. 🙂 Find out more about me and this site here.